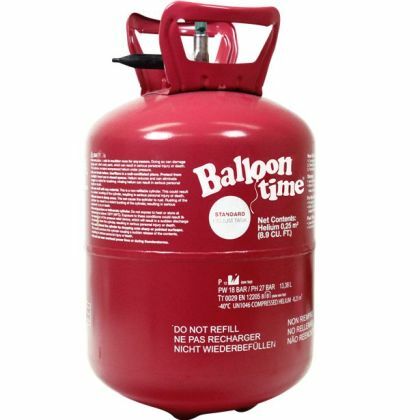 Helium Gas Canister for 50 BalloonsThis pack contains:1 x Helium Canister with InstructionsInformation:Volume: (14.9ft³ /.42m³)Float time of a latex balloon: 5-7 hours.Float time of a foil balloon: 1 Week +Inflates:50 x 9" latex balloons or28 x 11" latex balloons or21 x 12'' latex balloons or24 x 18" foil balloons.Please note: Delivery to UK mainland, NI and ROI only.Please Note: The canister you receive may differ from the image shown.Please note: This item is non-refundable. 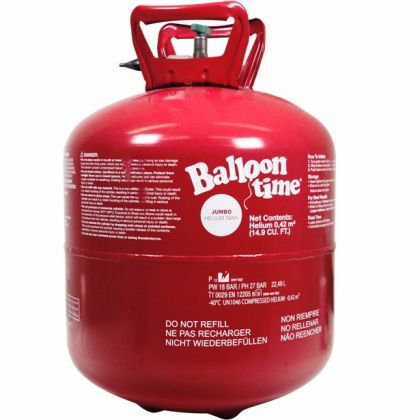 Helium Canister for 30 BalloonsThis pack contains:1 x Helium Canister with Instructions.Information:Volume: (8.8ft³ /.25m³)Float time of a latex balloon: 5-7 hours.Float time of a foil balloon: 1 Week +Lightweight, portable and disposable canisterInflates:30 x 9" latex balloons or16 x 11" latex balloons or12 x 12'' latex balloons or14 x 18" foil balloons.1 x 36" latex confetti balloonPlease note: Delivery to UK mainland, NI and ROI only.Please Note: The canister you receive may differ from the image shown.Please note: This item is non-refundable. 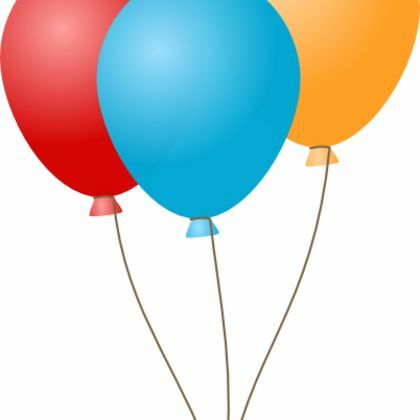 Helium Balloon Filling ServiceAlready bought balloons but need them filled for your party?Bring them to Jaq's and we will fill them for you (just select collection on the shipping options). You can pre-order and pre-pay online or give us a call to arrange - so we can make sure we have sufficient stock of helium for you.Please note - we accept no responsibility for any balloons popping during the filling process.